The Global Campaign for Education (GCE) is a civil society movement that aims to end the global education crisis. Together we hold governments to account for their promises repeatedly made to provide Education for All. The GCE's mission is to make sure that governments act now to deliver the right of every girl, boy, woman and man to a free quality public education. 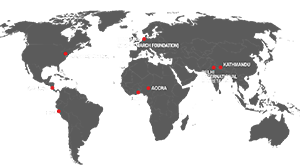 Global March is represented on the Board of the GCE which meets regularly each year. The GCE is currently seeking applications for the position of Head of Policy of its international secretariat located in Johannesburg, South Africa or London, UK, and details can be found on the GCE web site by clicking here. The deadline for applications is 2 November 2011.